The artwork is divided into three parts. 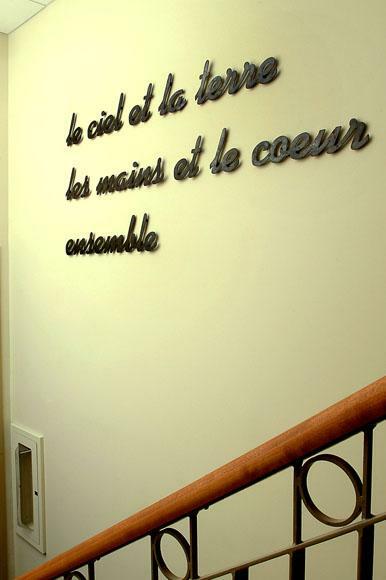 At the entrance, a short poem tells us that writing is the main attraction of the library. 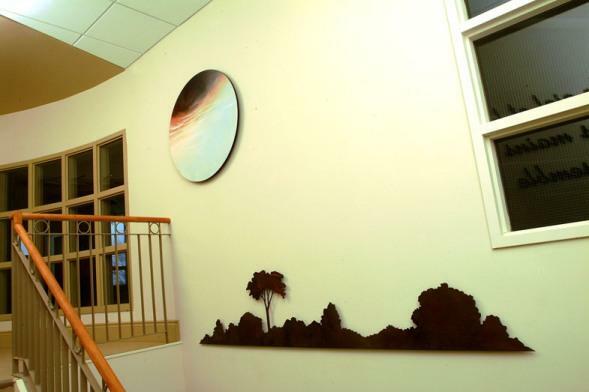 On another wall, there is a tondo and the sihouette of a windbreak. Located in the old Marguerite D'Youville school, this library is for people of all ages. The artist was asked to make a work referring to the population and to library use.